Clergy Confidential: Christian Formation's "Dirty Little Secret"
Christian Formation's "Dirty Little Secret"
There's nothing more disheartening than putting a tremendous amount of effort into an adult education program only to have a handful of people show up. This happens more than you'd think in parishes of all types, denominations, and sizes but no one wants to talk about it. Clergy don't -- because it looks like failure on their part. And lay people don't -- because they'd have to admit they weren't interested enough to show up. In fact, I'd call this lack of attendance at adult education programs the "dirty little secret" of Christian formation. It's easy to rally around children's formation events -- Sunday School, Confirmation class, Vacation Bible School. We're all passionate about "passing on the tradition," even if we don't have the time or the inclination to keep our own spiritual lives fresh and vibrant. I don't think this means the end of mature discipleship, it just calls for new methods of approaching adults who have precious little time. We can't continue to offer the ubiquitous Wednesday evening potlucks as the only means to the adult education end. The pace and volume of life has changed and the Church must adapt to changing educational needs to continue to form disciples in Jesus' name. Fortunately, there are some church leaders out there trying to meet this new reality. Online Christian formation -- for both adults and children -- is a new and exciting frontier, one that we're still figuring out but one that we all need to embrace. One friend of mine is doing something about filling this void. 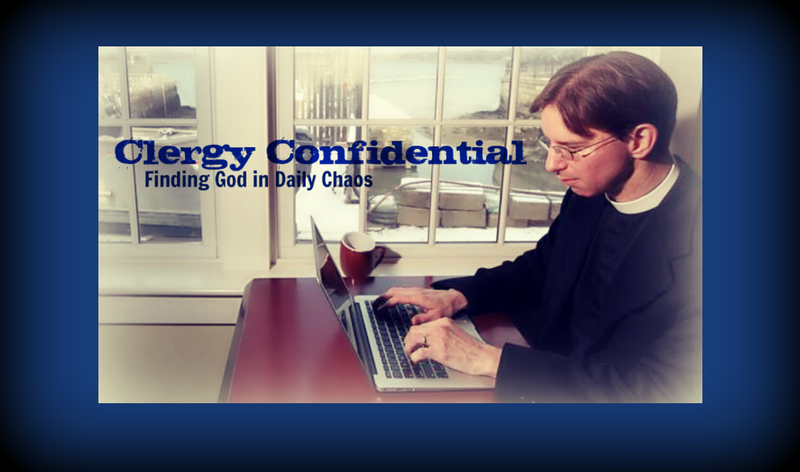 Chris Yaw is an Episcopal parish priest and the founder of Church Next, a new online Christian learning initiative. He's also a former Lent Madness Celebrity Blogger and Emmy Winner, but I digress. His team has an ever-expanding library of short, online courses on a variety of topics from ethics to liturgy to Scripture. Each course consists of four five-minute videos from experts across multiple denominations. An individual can subscribe or a parish can do so, in effect, creating an online "school" for the congregation. People can watch videos on their own schedule at their own pace and may or may not then engage in face-to-face conversations at church. The key is flexibility, accessibility, and access to solid content. Check out the ever-expanding online library here. Chris asked me to do a class on the season of Advent. I haven't actually seen all the videos but you can watch (and share) the first one as a free sample. Here's the course description. I really believe this is the future of Christian formation -- not replacing in-person parish formation programs but supplementing them and giving people who are too busy to attend potluck suppers access to spiritual growth. Imagine being able to grow your faith while waiting on the carpool line or with that first cup of coffee when the house is blessedly quiet or during your morning commute. It's a concept that's past due and one that embraces the changing landscape rather than simply ruing it. Yes! To everything. Chris Yaw's fine efforts, your participation, and, most important, the truthiness of observing that faith formation seems to screech to a halt after the Confirmation class is sent on its way. For a while, when The Catholic Home: Celebrations and Traditions (Doubleday) [which, after shielding one's eyes in some parts, could be used to great benefit by Episcopalians] came out, I was heavily involved in a lot of adult faith formation gigs. I routinely encountered adult faith formation people struggling for recognition and legitimacy within their parishes. I also encountered adults who were hungry to learn more about how to live faith in daily life. My "thing" was living in sync with the liturgical calendar. My point? We must nurture and nourish adults. Glad you've called this out, grateful for Chris' work and yours. I am really interested to see how this turns out. There is also that key of making content like this that is engaging and somewhat entertaining also. Otherwise people are just going to fast froward through your videos. It's like how I feel about Christian Rock Music. Sure it has a great message, sure it sounds similar to some rock music, but I will choose my Vampire weekend and Lumineers each time. What I find interesting and have discussed (by phone!) with Chris Yaw is how people really don't "get" e-formation and think slapping up video content with defining learning outcomes and providing ways to achieve them counts as e-learning. So. Not. I agree with Randall. It has to be engaging and not just "lecture on video" for it to work. Even as an adult I watch enough video to know the difference between really making use to the medium and just going through the motions. One problem is the use of the word "formation." It brings up visions of monks praying for hours on their knees on a cold stone floor, getting tonsures, etc. At least it does for me. A less ascetic-sounding term, such as "Growing in the Christian Faith," might be helpful. While we're at it--let's get rid of the ugly word "unchurched." Totally agreed, Meredith. Content does not a learning experience make. But it's a good start. As for the titular secret, I'm not sure it is one anymore. We're hearing from more and more churches who aren't interested in hiding it, or of being ashamed: "Our people want to learn but don't want to come to a weekly evening class. What have you got for them?" These are actually among my favorite kinds of consultations, I think because they start from such an honest place. I'm grateful to all those who are working on new content--and new ministry models--to reach people in this particular boat. Which is most of us, as you point out, Tim. The Diocese of New Jersey is sponsoring a workshop with Prof. Gordon Mikoski at Princeton Theological Seminary on January 18, 2014, to wrestle with the issues raised in the first paragraphs of this blog entry and to discern some ways forward. Education "gets" online learning. It's high time church does, too. And I agree with Jay Croft, using "Formation" is a barrier. "Formation" implies, at least to some, that one is going to be "formed," using some sort of mold wielded by some other person. It's something that's going to be done TO someone. No thanks. I'm more of a "varieties of gifts, but the same Spirit" sort of guy. We all see the world, and the Christian faith, through different eyes. A good example is the video here. I have a different take on it as a Deaf person because Fr. Tim's spoken commentary is not open-captioned. * I'm turned off because the makers assumed that everyone is able to hear. This attitude tells me that I'm not wanted and not to be included. *The captions provided by YouTube are experimental and are quite hilarious sometimes. Turn on the YouTube captions and you'll see. This is all a good idea, and probably the wave ofour future, but what happens to community?